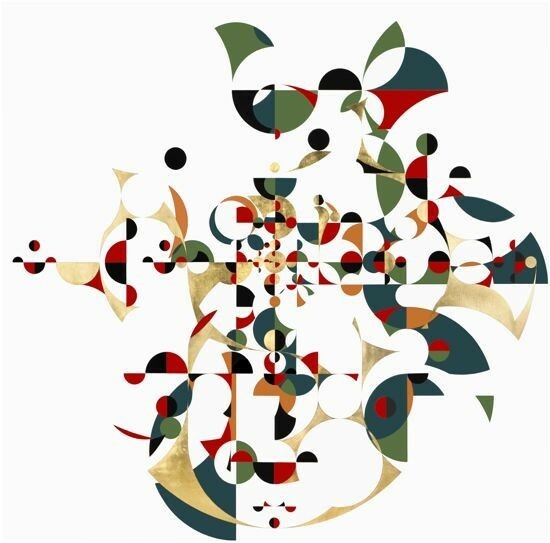 Boogie Frutti (2008), tempera and gold leaf on linen canvas, 200 x 200 cm. 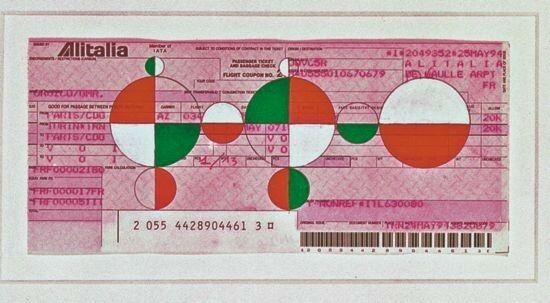 Above: Untitled (2001), gouache on paper, 8 x 18.5 cm. Collection Fundación Jumex Arte Contemporáneo. Below: Horses Running Endlessly (1995), 8.6 x 87.6 x 87.6 cm. Courtesy Gabriel Orozco and Marian Goodman Gallery. 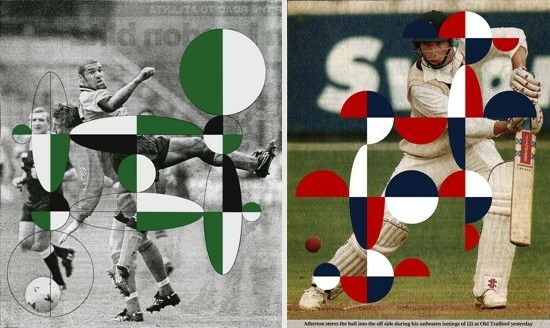 Left: Atomists: Jump Over (1996), computer-generated print, 210.8 x 179 cm. Right: Atomists: Offside, two-part computer-generated print, plastic coated, 196.9 x 156.8 cm. 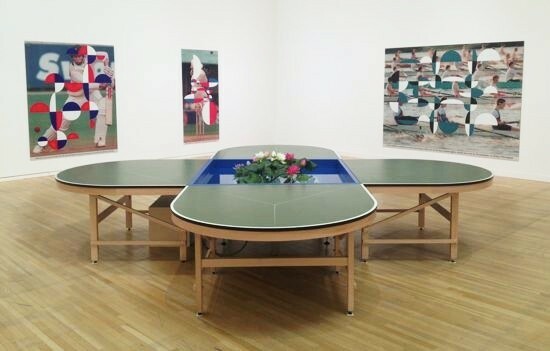 Below: Installation view of “Gabriel Orozco-Inner Cycles” at the Museum of Contemporary Art Tokyo, 2015, with Ping-Pond Table (1998) in foreground and works from “The Atomists” in background. Photo ART iT. 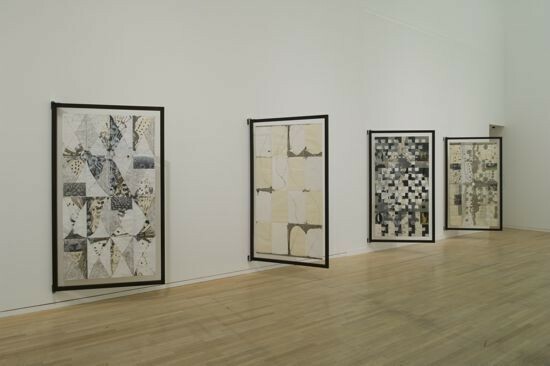 Installation view of works from “Corplegados” on display in “Gabriel Orozco-Inner Cycles” at the Museum of Contemporary Art Tokyo, 2015. Photo Eiji Ina, courtesy the Museum of Contemporary Art Tokyo.